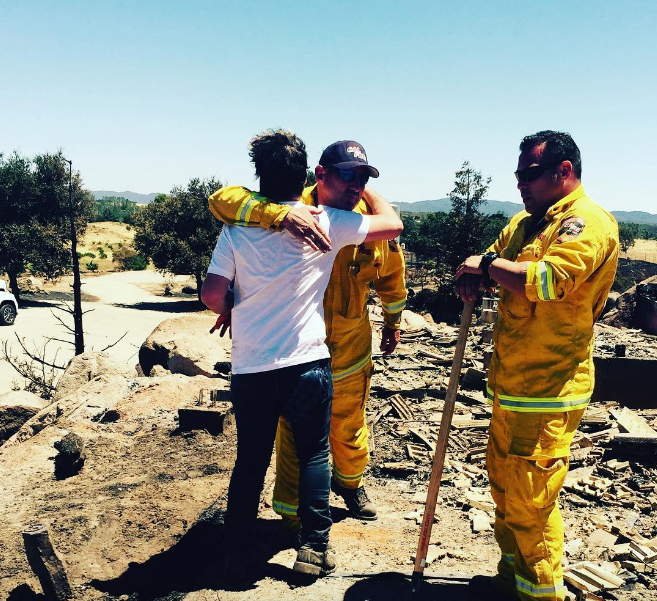 Cal Fire revealed Thursday that firefighters found another home that was destroyed by the Santa Margarita Hill Fire. The blaze has now destroyed a total of four homes. The Hill Fire, which began on Monday, has burned approximately 1,600 acres. As of Friday morning, it is 95 percent contained. Crews will be continuing to work on hot spots throughout the day. Shortly after 3 p.m. on Monday, two fires off Park Hill Road in rural Santa Margarita were reported. The fires later joined as they burnt in a southeast direction. Investigators believe one of the fires was started by a car on Park Hill Road. The car was towed from the area. “It is the profound risks that you accept and the sacrifices you and your families make that keep us safe. Thanks also to the many of you have reached out in support. It is far from lost on us here,” Galecki wrote. His house was lost and he still thanked them for trying. A class act.